INDUSTRY.co.id - Jakarta - Opening early in the year and welcoming the arrival of Imlek, Summarecon Mal Bekasi presents Doraemon animation character with the title "Doraemon: Blooming Prosperity". This event features performances from various characters in the movie Doraemon and musical entertainment that takes place from 1-25 February 2018. 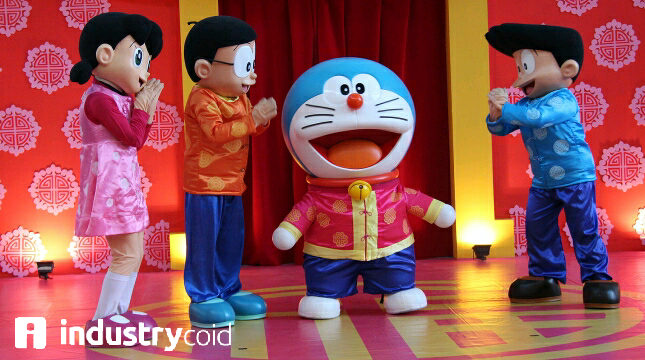 Center Director of Summarecon Mall Bekasi Ugi Cahyono said Doraemon election became one of the entertainment form offered to the visitors. "Visitors can reminisce with Doraemon characters, besides Doraemon characters are able to spread positive messages by being helpful as Doraemon characters do to Nobita and his friends. Not to be missed the One Day Sale Lunar shopping program which will take place on 10 and 16 February 2018 and the presence of Anang and Ashanti Valentine day, "he said through an official statement received INDUSTRY.co.id, Sunday (4/2/2018). Even Doraemon Live Show presents 6 characters presented in an exciting show that is Doraemon, Dorami, Nobita, Shizuka, Suneo and Giant in The Oval area. The show will take place every Friday-Sunday at 16.00 and 19.00 WIB free of charge. Enliven the weekend, the performance of the singer Virgoun will entertain visitors on February 10, 2018 at 20.00 pm on stage The Downtown Walk. Also present Anang Hermansyah and Ashanty on Saturday, 17 February 2018 that will invite visitors to sing together while enjoying a romantic dinner. Lunar atmosphere was increasingly felt with the Lion Dance attraction, Barongsai Patok Besi that will accompany the visitors over the weekend.